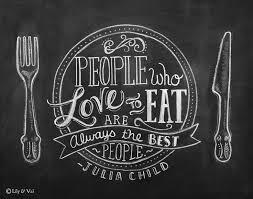 We Love People Who Love to Eat! I’m not tooting my own horn here (toot, toot), really, what I’m trying to say is that this is what a restaurateur lives for…these people who love food. Trust me, it isn’t the fat paycheck or the glorious rock star lifestyle. We live to please people, to create dishes that people love, to get the rave review about how good a dish is. Our hearts and souls go into these businesses, these culinary concoctions, and it warms our cockles when they are appreciated…so THANK YOU! Thank you for loving Magills.